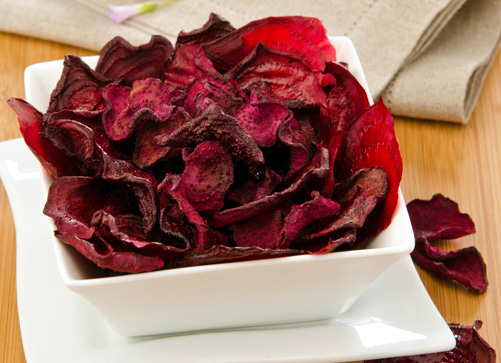 Quality: Select deep, uniformly-red, tender, young beets. Wash and sort according to size. Trim tops, leaving ½-inch of stems and tap root, to prevent bleeding of color during cooking. Cook in boiling water until tender-for small beets 25 to 30 minutes; for medium beets 45 to 50 minutes. Cool promptly in cold water. Peel, remove stem and tap root Cut into shoestring strips 1/8 inch thick.